You can imagine that for a long run schedule, no matter how large the target storage is, the permanently increasing image files will fill up all the available space someday. So it is always necessary to remove or merge part of old image files and ensure there is enough space for upcoming image files. 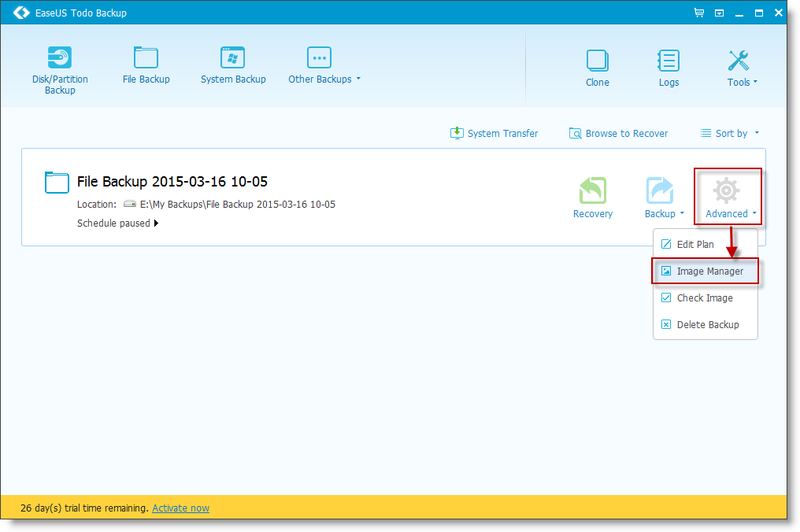 EaseUS Todo backup images can be merged by Image Manager manually, you can also use the Image-reserve strategy option in EaseUS Todo Backup to merge old image files under a specified rules automatically. This article will offer all the essential tips you should know about how to merge image properly. 1. 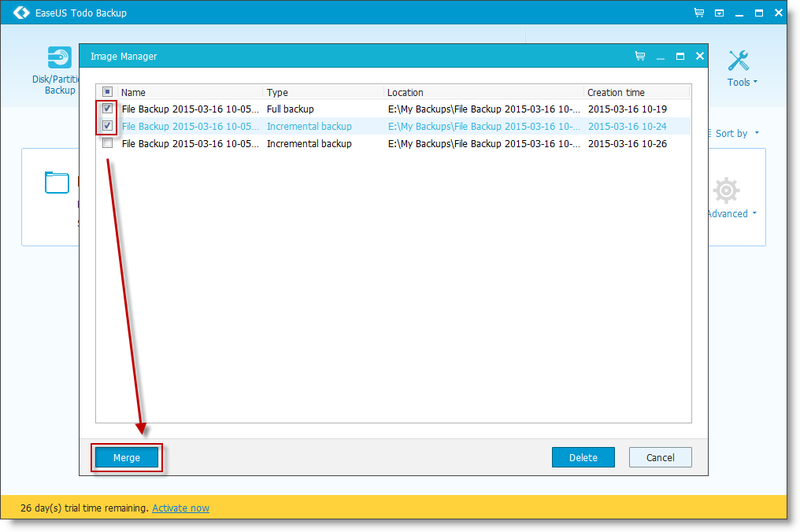 Select the backup task/plan then click Advanced->Image Manager. 2. Tick images then click the Merge function to merge. 3. The incremental backup image has been merged to the full backup image. 1. Turn on/off image retention rule for current backup. 2. Delete/Merge old image based on time or numbers, week, month and year are all available in the time option. 3. By ticking this option, the first full image will neither be counted into the preserved number you have specified, nor deleted by the image-reserve rule. 4. Tick this option, the image-reserve rule will merge images instead of delete old images. 1. The Reserve image via image merging method option can only be checked after checking Enable image reserve strategy. 2. 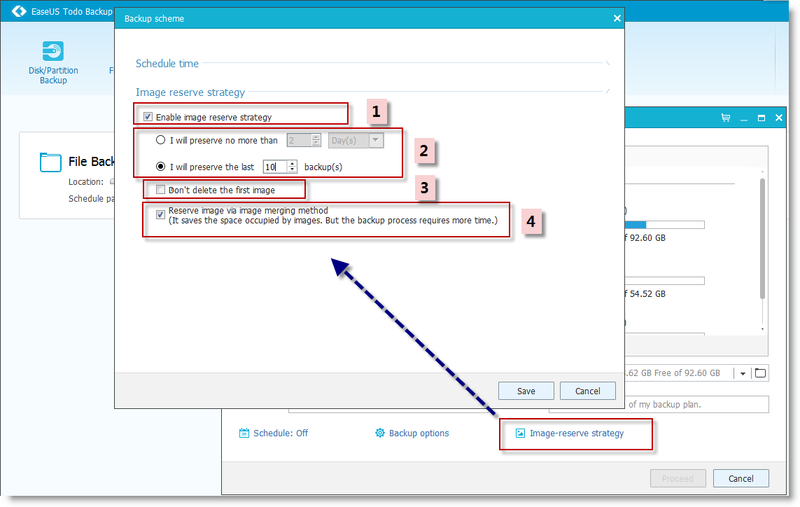 If the Reserve image via image merging method option is not checked, EaseUS Todo backup will use delete image rule. 1. There is not any difference on merging images between Incremental and Differential backup. 2. 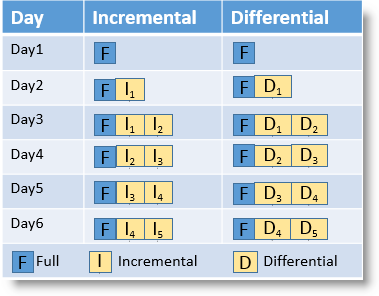 On day 4, it will create a new incremental/differential backup (I3 or D3) and then merge the first incremental/differential backup (I1 or D1) to full backup image (F). And it will use same rule to merge images after day4. The number of backup images will be no more than 3. 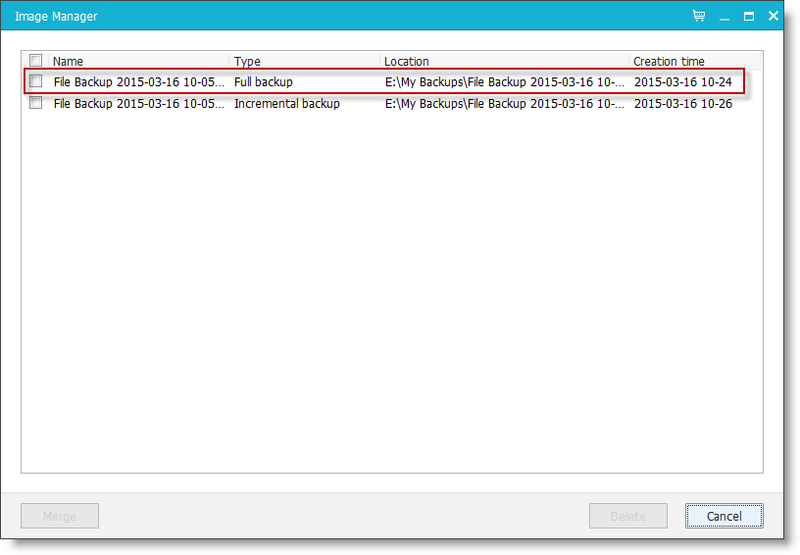 If you have deleted a file before the first incremental/differential backup, and then the first incremental/differential backup image has been merged to full backup image, the delete file will not be restored.